It's easy to step into a luxury boutique and say, "OK, I'll just take it all." Sure, we all want everything all the time (right? )—but unless you've got that Winfrey blood in you, that's not quite realistic. Don't fret, though; just because you can't necessarily stock your closet with every fanciful item you spot doesn't mean you can't build a strong closet. You just need to shop smartly to help identify the details that make an affordable option look way more expensive. Below, we're highlighting five ways to build your summer wardrobe without going broke. Keep scrolling for inspiration (along with shopping picks under $100!) to keep your purse strings intact this season. 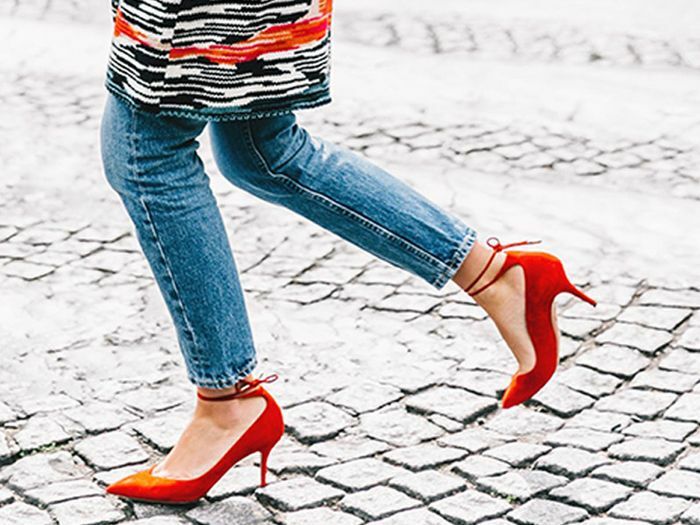 Heels will inherently look more expensive if you go for a style without too many bells and whistles. For example, stilettos or wedges featuring a wood heel versus something basic could easily come across as cheap rather than high-end. A garment will look like it's worth a lot more if it has interesting shapes and cuts that feel more artistic. You'll easily fool anyone into thinking your everyday jewellery is expensive if you opt for simple jewels rather than options that aren't too out-there. Just imagine how cheap big hoop earrings look over understated studs. Certain materials will inherently look more expensive. Suede, for example (whether real or faux), can look extremely luxe, while lower-quality cotton pieces tend to look cheap because they pill or wrinkle easily. The easiest way to up your accessories game? Spring for bag silhouettes that have structure rather than something slouchy—they'll look much more polished and put together. Will you take these tips into consideration next time you're shopping? Let us know in the comments below!